The obstacles I’ve faced since I’ve started my journey of mastery, in New Media Journalism have been quite compelling. But the car accident my son was involved in, late Saturday night, thousands of miles away from home and with no family members have me a bit confounded, but I must continue on with my journey, being so close to the end. 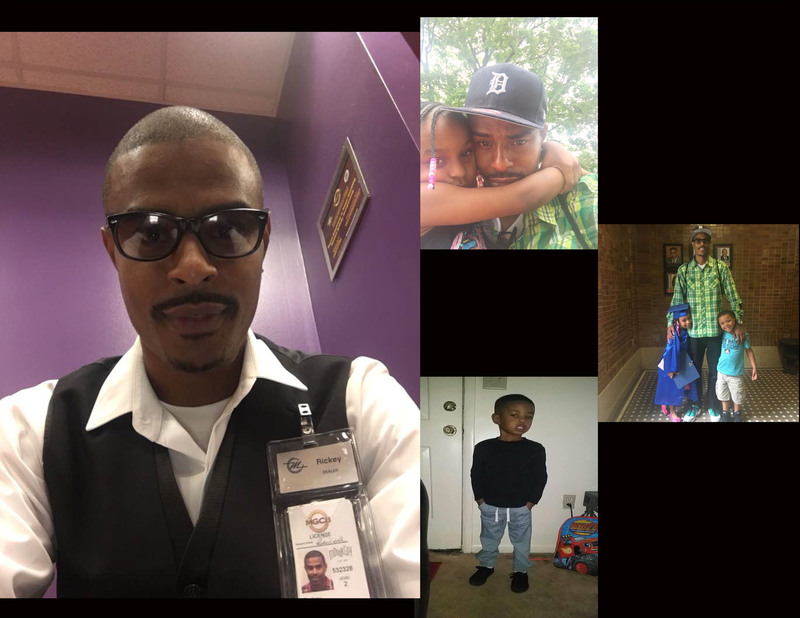 Rickey Gladden loves his children immensely and left Detroit, to work. Through my studies, I’ve been told that writing about family members is a big no-no, but I want the world to understand my struggles as I use this form of media to help encourage other people who find it difficult to succeed throughout the ups and downs of life. Rickey still is breathing with the help of a respirator. The doctors are going to remove the tube soon, and hopefully, he will breathe on his on, if not he will have a trachea inserted. I have not raised enough money to get to Portland, Oregon yet, but I will remain hopeful. You can follow this story on Cynthia Gladden’s Vlog. Round Table News Productions Powered by WordPress.com.